Happy Tuesday MMT Fam! 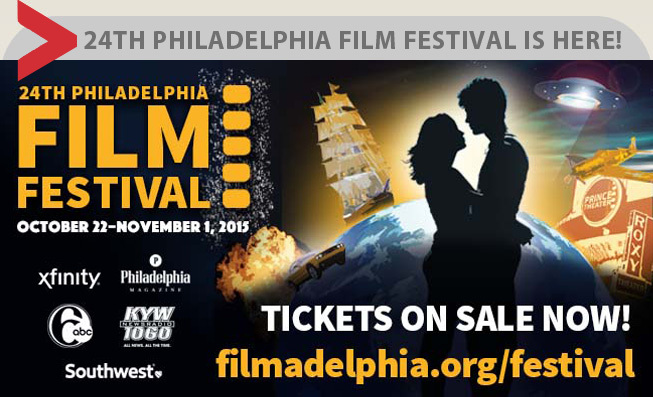 I hope to see some of you over the next week & a half at this year’s Philadelphia Film Festival, which runs from October 22 – November 1, 2015 presenting over 130 films, from 28 countries, for 11 days at four city-wide venues. The festival will feature short, narrative, and documentaries representing the best of the local, national and international cinema circuit. 2015 also marks the 4th year that the Film Festival will offer PFF ON US, a free ticketing program made possible through support from the Wyncote Foundation. PFF ON US allows the Film Society to realize its mission and create accessible opportunities to engage the community and increase education and understanding. Look for the FREE ticket icon in the program guide for designated titles. Individuals from the general public can reserve tickets online, over the phone, or at the PFF Box Office. I’ve already marked off several films I’m interested in viewing – including the documentaries “Mavis,” about legendary songstress Mavis Staples, and “As I Am: The Life & Times of DJ AM.” I’ll also be in the house next Saturday for part of the Wes Craven “Halloween Nightmare” tribute (presented with The Awesome Fest) – which will have a guest appearance by actor Jamie Kennedy during the “Scream” showing! I would really like to re-watch “Nightmare on Elm Street: Dream Warriors” on Saturday night, but it’s conflicting with the screening of “Legend” that I don’t want to miss! Check the synopsis of latter, and other titles, by clicking here and you’ll understand why I feel it’s a must see! If you come out and see me wandering, feel free to stop me and introduce yourself! PS – check the below clip (via MovieClips.com) featuring one of my fave Jamie Kennedy moments from the Scream films!